D. J. Sparr not only lives on the mystical high plains of the Wild West (Lubbock to be precise), he also embodies an unconfined nature when it comes to making music. As comfortable playing a guitar concerto with a major orchestra as he is employing Tibetan singing bowls and banjos for a film score, his ears are as open as his horizons are wide. Electric Bands brings together four of his works for electronically-improved chamber ensembles; a format that allows for moments of magical realism. 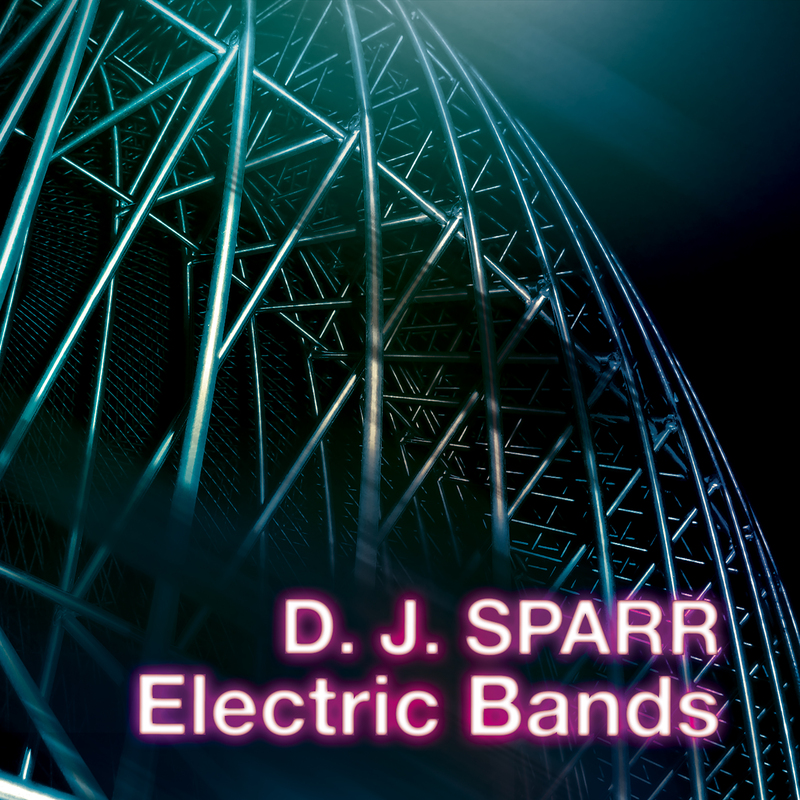 You might detect traces of layered Nancarrow-type rhythms deftly executed with guitar pedals or you might not; either way, Sparr’s effortless combination of composer-thinking and guitarist mind make his music as satisfying for the head as for the heart. I Can Hear Her Through the Thin Wall Singing for electric guitar and soprano (the crystalline Kristina Bachrach) imagines what kind of song cycle Debussy might have written if only he’d had the full range of modern guitar effects available to him – and Brooklyn poet, Patrick Phillips’ spare texts. Meta444 was inspired by a conversation between Killer Mike and Stephen Colbert. It is traditional ritual music for a religion and a place that exists only in the imagination. Sparr’s string quartet, Avaloch, for the Momenta Quartet, sprang from a place that very much exists – Avaloch Farm Music Institute, New Hampshire – and its attendant apple orchards and walks in the woods. But it’s a place where time is illusory, and the inhabitants are free of stress and dance with boundless joy. Earthcaster Suite (the one that includes banjo, Tibetan bowls, mandolin, organ, and strings) was composed for a documentary about artist Thomas Sayre. Sayre’s work blends art and science, addresses the past and future, and joins the natural and man-made in a sometimes-dangerous dance of gravity and grace. D. J. Sparr, whom Gramophone Magazine recently hailed as "exemplary," is one of America’s preeminent composer-performers. He has caught the attention of critics with his eclectic style, described as "pop-Romantic ... iridescent and wondrous" (The Mercury News) and “suits the boundary erasing spirit of today's new-music world” (The New York Times). The Los Angeles Times praises him as “an excellent soloist,” and the Santa Cruz Sentinel says that he “wowed an enthusiastic audience ... Sparr's guitar sang in a near-human voice.” In 2011, NPR named Sparr one of their music listeners’ “favorite composers under 40.” Sparr has composed for and performed with renowned ensembles such as the London Symphony Orchestra, Washington National Opera, and Eighth Blackbird.